We are committed to active and meaningful patient and public involvement and engagement when developing, carrying out and sharing the results of research projects to improve the quality and safety of care for patients, carers and their families. What do we mean by quality and safety research? High quality care is about providing a safe, effective and good experience of care. Patient safety is about avoiding and preventing harm to patients while receiving care. Much of patient safety research is about developing and testing ways to improve care patients receive and working directly with doctors, nurses and other healthcare professionals and managers. Our research is all about trying to make care safer and better for patients and staff in the NHS and we believe that involving patients, carers and their families in their care is an essential part of creating a safer NHS. 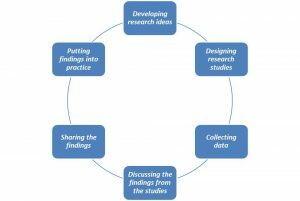 How do we involve patients, carers and the public in our research? Over the past nine years, the YQSR Group have gained invaluable experience and expertise in engaging patients and the public as partners in the research process. This started with setting up a patient panel for a large research project in 2007. However, as we had such a positive response from members of the public, we also created a patient panel to support the YQSR Group research team with ongoing and new research projects. See below for more information on our YQSR Group Patient Panel, our PACT Patient Panel, as well as guidance and supporting websites. The YQSR Group fund and facilitate a generic patient panel to inform new research ideas across the research group, as well as providing support for researchers within current projects. These patients and members of the public have volunteered to act as research advisers to the research team. This panel helps to provide feedback from the patient and public perspective, on the design and the way we carry out our research. This is an extremely valuable element in the development of our research, and applying (or translating) our research findings into everyday clinical practice to improve patient care. The Improvement Academy for Yorkshire and the Humber has close links with the YQSR Group so that the innovations it supports are informed by the latest research evidence. This panel now also supports Quality Improvement staff who work for the Improvement Academy. The terms of reference for our panel sets out the aims of the group and gives details about the membership, meetings and how we reimburse our panel members for their time. Click here for the Terms of Reference. A step-by-step PPIE planning template for improvement specialists and researchers: Click here. 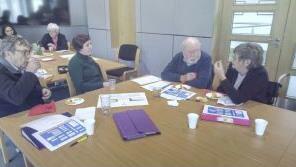 Working with the YQSR Group Patient Panel: Click here. Budgeting and Reimbursement. Procedures and policy for YQSR Group research staff: Click here. Part of the National Institute for Health Research, it supports active public involvement in NHS, public health and social care research. Their role is to bring together expertise, insight and experience into the field of public involvement in research. 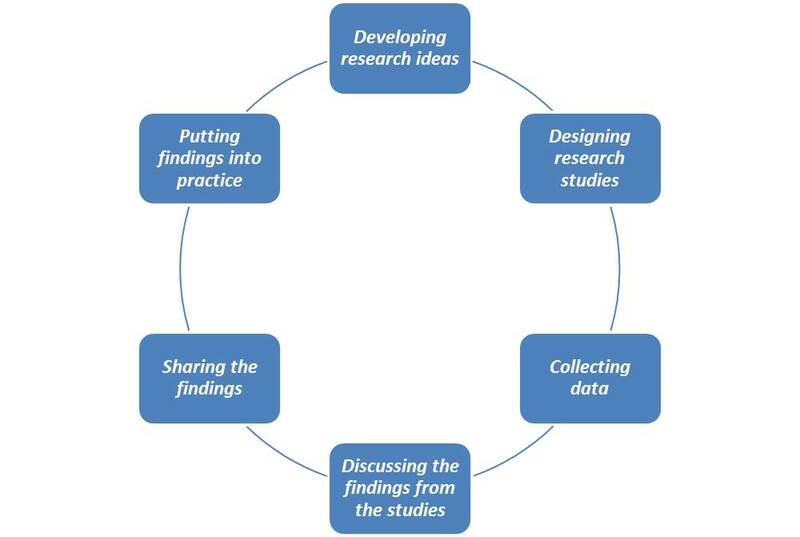 There are many useful guides and resources for researchers, healthcare professionals and patients and the public to support active participation in health research. The Improvement Academy is part of Yorkshire and Humber’s Academic Health Science Network (AHSN), of which there are 15 nationally. AHSNs were created in May 2013, following Lord Darzi’s report in 2008 which recognised the need for commitment to continuous improvement in the quality of care provided for patients in the NHS. An independent website that shares patient stories about their care and allows healthcare organisations e.g. hospitals and GP surgeries to reply to messages. This research programme aims to improve the safety and experience of care for older patients as they move from hospital to home. Click here for more information about the background to the research and the work involved. Our dedicated panel have been working with us from the outset. We have seven members who meet every one to two months. They’ve had a steep learning curve to understand what we are trying to do within this programme of research. In the early days the meetings were mostly educational – helping them to understand concepts such as safety and involvement. These early sessions proved valuable because as we’ve moved through the research they have been able to participate in many critical discussions about the content and format of the intervention and the PACT-M questionnaire that we have been developing. Here are some of our panel members working through an exercise exploring what it means to be involved in one’s own care. We worked through examples of ways of being involved that we had found in the literature asking panel members to describe them. We looked at passive ways of being involved such as receiving information. We also recognised that patients and carers can sometimes challenge decisions and chase around for information. We also saw that some patients are feel excluded from their own care. Panel members have attended every intervention development group meeting as part of Work Package 4. 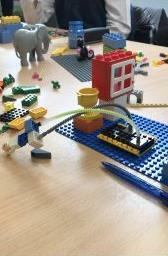 At our first meeting we used Lego to create visual model of our own experiences of hospital care. Initially there was a bit of skepticism but everyone was surprised at how valuable the exercise had been. Jean’s model on the right here depicts how she felt when she returned home. The ‘wobbly legs’ represented both her loss of confidence and physical weakness from being inactive in hospital. The window was her own window that provided a view of her local Co-op that she was determined she would walk to….and she did! We gathered everyone’s Lego models and created a care transitions pathway, on the left. Many aspects of the pathway mirrored the findings from the Work Package 1 interviews and gave us another way of looking at the intervention development. More recently, panel members have been helping us to refine a key part of our intervention before we go to the pilot phase. Panel members have become a very valuable part of our work. They critique and challenge us to ensure that we can explain what we are doing and to keep sight of what we are trying to achieve….THANK YOU PANEL MEMBERS!